Should you carry an umbrella with you, pack light/heavy clothing...not sure of the weather at your destination city/place...well Weather is an important part of the natural environment and it directly or indirectly affects many of our activities. 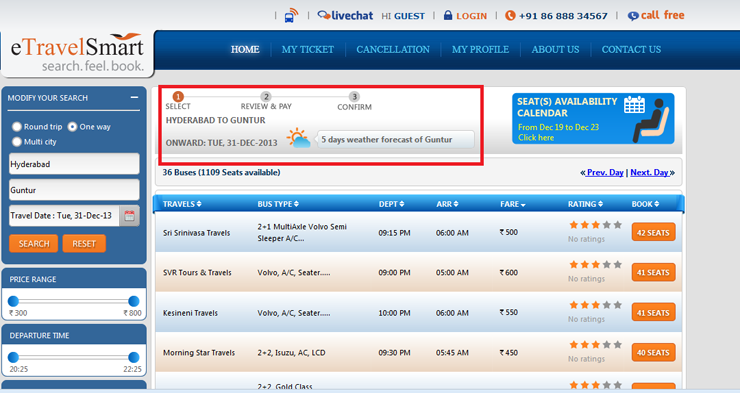 Understanding this fact and to ensure your travel comfort without any inconveniences, we have enabled this unique feature which provides you with an up-to-date "weather forecast" for the next five days at your destination city/place. 1. Access weather forecast of destination city at top left side of bus search layout. 2. 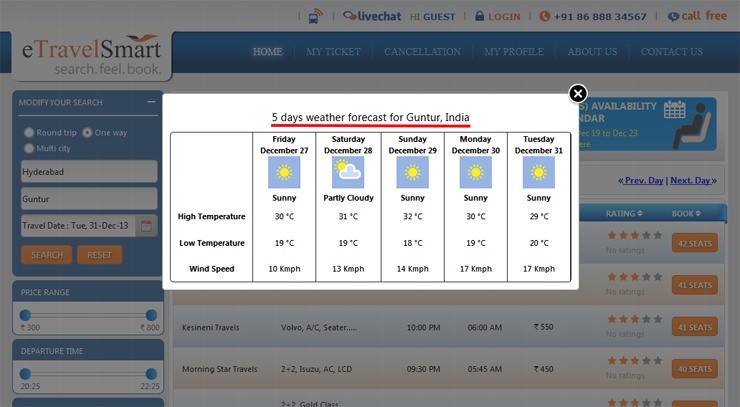 Get detailed weather forecast of your destination point for upcoming five days, which helps to plan your journey in proper manner.